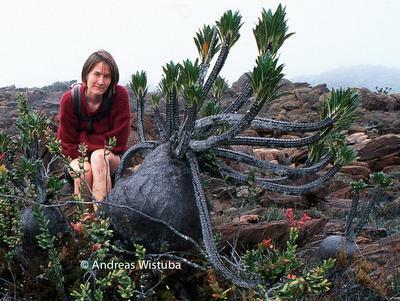 Massive plant by Andreas Wistuba. This member of the Rubiaceae family was given this name by Elmer Drew Merrill and Lily May Perry in 1945. 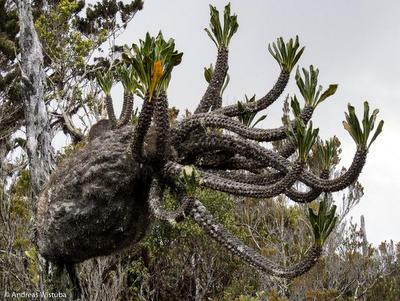 It is found in western part of Papay; Irian Jaya of Indonesia, growing in a well drained and rich soil or as an epiphyte with quite some water and lots of sun. 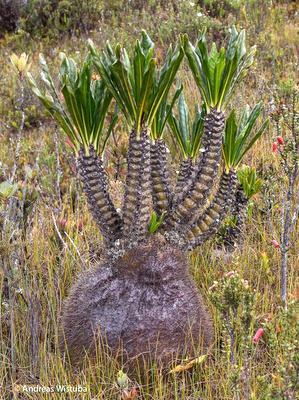 The caudex can grow to 40 centimetres in diameter, the entire plant to 120 centimetres in height. The flowers are slightly bluish white. 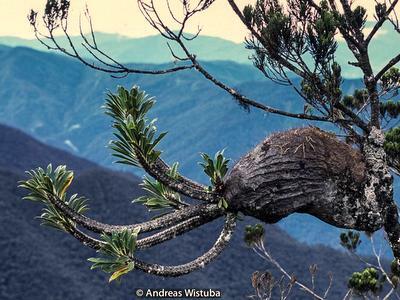 As epiphytes by Andreas Wistuba.